or anything else related to WordPress? WPCompendium.org publishes high-quality, detailed articles and step-by-step tutorials designed to educate businesses and online users about the benefits of using WordPress. 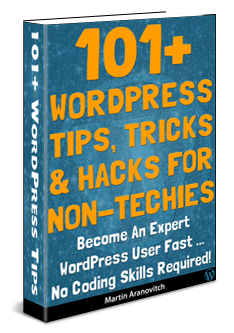 We have already published hundreds of detailed WordPress tutorials on this site. Each article and tutorial on this site provides an opportunity to expose your products and services to a wider, growing online audience of prospective customers. WPCompendium.org is growing and attracting more visitors and new WordPress users every day. We can help your WordPress-related business get more exposure online, drive more leads and targeted prospects to your website, and get more clients for your services and products. As we make all of our content freely available to gain the widest exposure possible, we rely on advertising, affiliate marketing, and donations to cover our costs. This section contains information about our banner advertising options, including banner ad locations, pricing, additional info, etc. Ads must be for WordPress-related products or services. We reserve the right to decline requests for products or services that do not comply with our advertising guidelines or that provide no benefit to WordPress users. Banner images must be supplied by the advertiser in correct sizes and formats (.jpg or png). We can match 468×60 banners to related content categories for better targeting. Includes access to campaign details, statistics, etc. Decide which banner advertising sizes you would like to purchase (468×60, 250×250, 125×125). We offer a 25% discount on additional banner campaign purchases (e.g. for split-testing ads). Advertising can be purchased on a monthly or annual basis. We offer a 10% discount if ads are purchased annually. Choose monthly or annual billing. Do you provide an affiliate program for your product or service? We offer an additional 5% discount if you allow WPCompendium.org to promote your banners using an affiliate link. Please contact us to discuss your advertising campaign options using the form at the bottom of this page. Once details of your campaign have been discussed and agreed upon, we will send you instructions for payment. After payment has been made, we will send you additional information (e.g. 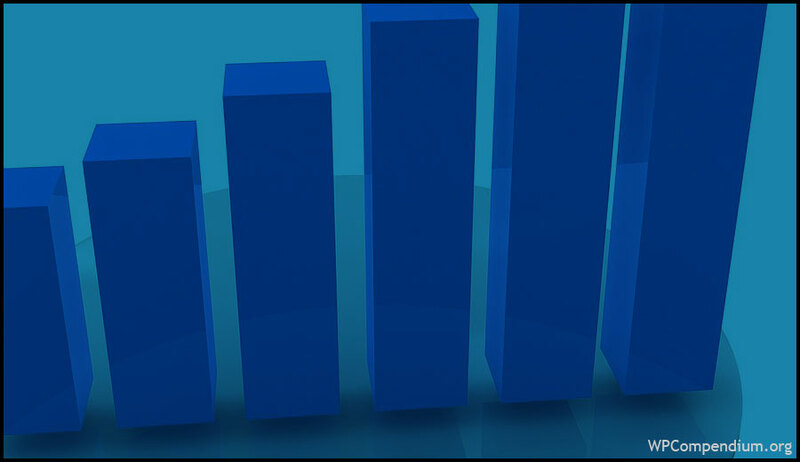 login details for ad stats and reports) and begin running your banner ad campaigns. Purchase any banner advertising on WPCompendium.org and get a FREE Featured listing on our WordPress Services Directory (value = $125 p/year). Offer expires July 31, 2019. In addition to banner advertising, we can also feature your WordPress product in our content. 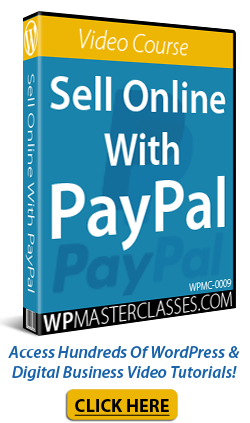 This is an ideal way to gain more exposure online for WordPress plugins or themes. WPCompendium.org provides comprehensive tutorials that educate users about the benefits of using WordPress products. Introduction and context (i.e. what issues, problems or challenges users experience in areas of their business that your product can help solve or address). Overview and description of your plugin, theme, or resource. How to install, configure, and use. Additional content supplied by you (e.g. promo videos, infographics, downloadable file). The tutorial will be published on its own URL and linked to from other related tutorials on WPCompendium.org. We charge a one-time upfront fee of US$650 (plus 10% GST) to create a detailed and well researched written tutorial about your WordPress plugin, theme, or resource. We offer a 10% discount if you provide an affiliate program and allow WPCompendium.org to link to your site using affiliate links in the content. Our tutorials average anywhere between +2,000 to +5,000 words or more and require at least 5-7 days to create. Any additional info you would like added, mentioned, or promoted in the content (e.g. promo videos, downloadable guides, etc.) must be supplied and hosted by you. The content will remain published indefinitely on WPCompendium.org and become part of our WordPress training library. We retain exclusive rights to the content. Contact us to discuss your content and campaign using the form at the bottom of this page. Once your content and campaign have been discussed and agreed, we’ll send you instructions for payment. Once payment has been received, we’ll prioritize and commence working on your content (est. completion time = 5-7 business days). Dedicated tutorial (value = US$650). A professionally written press release distributed to hundreds of authoritative online news and media outlets (value = US$495). 12 months of 250×250 sitewide banner ads (value = US$2,160). Premium listing on our WordPress Services Directory (value = $295 p/year). Special “Sponsor” package price = US$3,150 (plus 10% GST). Many of our tutorials include lists, overviews, and descriptions of WordPress plugins that users can install to perform the functions described in the tutorial. Overviews typically include 1-3 screenshots, an overview and description of the main benefits and advantages of the product, and links to the website for more information. We charge a one-time upfront fee of US$250 to add an overview of your WordPress product to a tutorial. We offer a 10% discount if you provide an affiliate program and allow WPCompendium.org to link to your site using an affiliate link. Are you a WordPress theme developer? Would you like to have your theme listed in one of our “best themes for …” articles or tutorials? We charge a one-time upfront fee of US$150 to add your WordPress theme to the content. Many of the tutorials on this site link to useful WordPress plugins, tools, services, and resources. Links normally use bold anchor text and will either point externally to other sites or internally to other tutorials on our site. Let us know if you offer an affiliate program (we prefer to link to sites through an affiliate link if possible). We’ll review your request and get back to you. We understand that most businesses are short of time and need help or want ‘done-for-you’ services from WordPress experts and professionals. As we are a WordPress education site only, we are also currently developing a WordPress Services Directory for businesses that provide services that can benefit WordPress users like web development, web design, website management, web maintenance, technical support, online marketing, WordPress plugins, themes, etc. Our WordPress Services Directory is search optimized and allows you to add a detailed description of your business, services, or products with images, links, videos, contact details with geolocation and more! Many of our tutorials refer users to our directory for expert and professional WordPress services. Please consider listing your WordPress-related service, product, tool, plugin, theme, or resource in our directory. Note: Listing in our WordPress services directory is currently by request or invitation only. To list your business in our WordPress services directory, please use the form below and include a username for your account. We will create and send you login details allowing you to purchase your listing and add your details to our directory. We have hundreds of tutorials published and rank highly for many WordPress-related terms and keywords. We’ll help you get your WordPress product or service in front of thousands of visitors and WordPress users each month with our banner advertising and featured content options. We can create a detailed tutorial about your WordPress plugin, theme, service, tool, or resource. In addition to featuring your content on WPCompendium.org and incorporating it into our WordPress training library, we will also promote the content tutorial online. Additionally, WordPress users will be able to access it through our WordPress User Tutorials plugin. We offer reasonably priced advertising and a complete and dedicated personal service. We only work with a limited number of advertising partners. The more WPCompendium.org grows, the more traffic and exposure we will help you get! As a WordPress education and training website, our aim is to build long-term relationships with advertising partners who can add value and provide complementary services to our users. We are committed to helping your WordPress product or service get more exposure online with WPCompendium.org. Advertise on WPCompendium.org and get your WordPress business, product, or service in front of potential new clients and WordPress users! Contact us using the form below to discuss your advertising needs and work out the best solution to suit your budget. Originally published as Advertise On WPCompendium.org.